Simple AIP diet, Paleo, and Whole30 recipes, holistic detox tips, and wellness strategies. If you have ever lived with me, you know my skin care routine is minimal at best, and that isn’t to say I’m low maintenance (ask my fiance – I’m totally not). I’m just lazy. I’m busy, and I’m lazy, and I really don’t want to spend my treasured free time researching new serums and cleansers and masks. I currently have 5 jobs, in addition to freelance web design & planning our wedding on the side. I am constantly going a mile a minute, and in the free time that I do have, I’d like to be snuggled up with James and our dogs, and I’d rather not have an uncomfortable face mask on while I do so. Cacao butter | Raw cacao butter is an amazingly versatile product. Since cacao butter is solid at room temp, I melt mine down and mix with either jojoba oil, shea butter, or coconut oil. Before dividing into jars, I add a few drops of my favorite essential oils (try lavender or peppermint) and use it daily as a body butter. Bonus: you can throw a chunk of raw cacao butter into your butter coffee and blend away to help balance inflammation, enhance cardiovascular health, and add a subtly delicious mocha flavor. Coconut Oil | Surely by now we have all heard the praises of virgin coconut oil. While I use coconut oil in the kitchen on a daily basis, I keep a designated jar in my bathroom for moisturizing my skin after showers. Fair warning: skip your feet unless you want oily footprints following you around the house! Almond Oil | Being rich in vitamins that are typically found in most cosmetic section beauty products, almond oil is a quintessential single ingredient product for your skin. It is quickly absorbed so it won’t clog pores, and removes makeup in a flash. And since wrinkles are thought to be caused primarily by dry skin, the deep moisturizing ability of almond oil is ideal. To use, I add several drops of almond oil (it may take more depending on the type of makeup you’re using), along with a drop of essential oil, onto a reusable, unbleached baby wipe and place over my eyes. I gently rub to remove my eye makeup before repeating with a clean wipe for the rest of my face. Epsom Salt | Call these scrubby little guys an exfoliant, a detoxifier, a stress decompressor, even a pain and inflammation reliever. Epsom salts is one of those multitasking products that you really should always have in the house. I use mine as an exfoliating body scrub in the shower (I mix it with virgin coconut oil and essential oils), or as a soothing and relaxing soak in the bath. A quick google search will yield a myriad of ways to use epsom salts: as a splinter remover, as a household cleaner, or as a foot soak. Bentonite Clay | This product is a POWERHOUSE, with the key word being “chelation!”. Once a week, I mix about a tablespoon with an equal amount of water to make a face mask. I’ve also successfully mixed bentonite clay with arrowroot powder for dry shampoo, with baking soda as a toothpaste, or into our Lymphatic Elixir (recipe in our Ebook!) as a way to internally cleanse the body. See what I mean? POWERHOUSE. Lavender Essential Oil | This essential oil is highly recommended for blemish prone skin since it can help balance inflammation and cleanse the skin. I use lavender essential oil as a spot treatment for breakouts since it can aid in the healing process while reducing redness and pain. I’ll also use this when I have a sunburn by adding a few drops to fresh aloe vera (not that artificially colored, drug store junk). Bonus: add a few drops to your wrists and temples in the morning for a calming, single ingredient fragrance. Frankincense Essential Oil | Frankincense essential oil is extremely powerful in healing scarring, so this is my number one, go-to product when I’m dealing with a breakout. Being that frankincense is such a healing oil, I add a few drops to the almond oil I mentioned earlier to rejuvenate and tone my skin, just like any cosmetic section anti-aging product. Another benefit to using it when removing makeup at the end of the day is that in aromatherapy, frankincense is used for it’s stress relieving qualities. Download a copy of Autoimmune Rockstar, your free guide to rockin' your AIP transition on the first try. 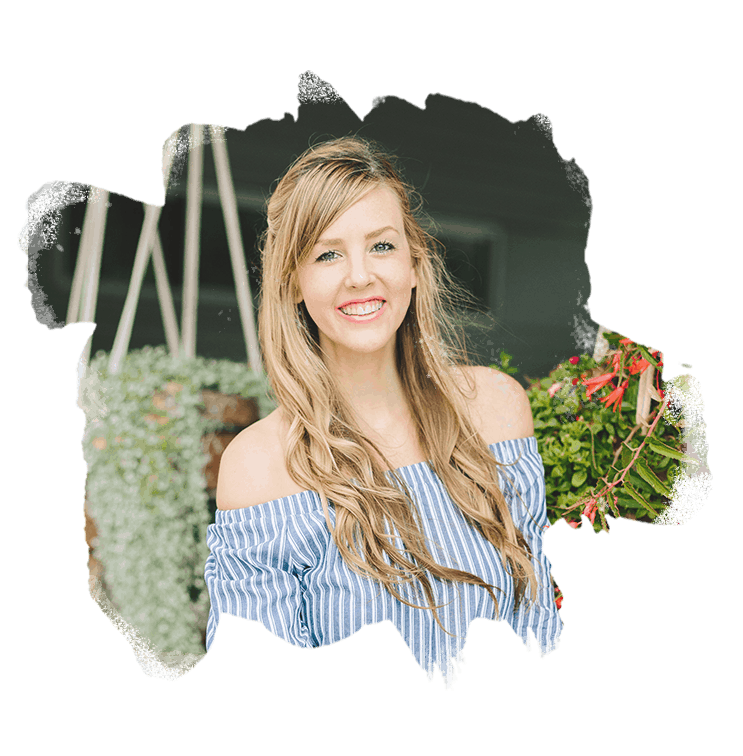 Anne is a certified Integrative Nutritional Health Coach and Interior Designer who is passionate about whole home and body detox, as well as personalized nutritional therapies tailored to the individual. She's the creator of several online programs and ebooks including Ditch Your Nutritionist, Autoimmune Accomplice, and the Whole Life Detox. When she's not designing clean homes or creating content for her wellness business and website Grass Fed Salsa, you can find her snuggled up to her daughter GG, her husband James, and their pups Cohen and Kiki. 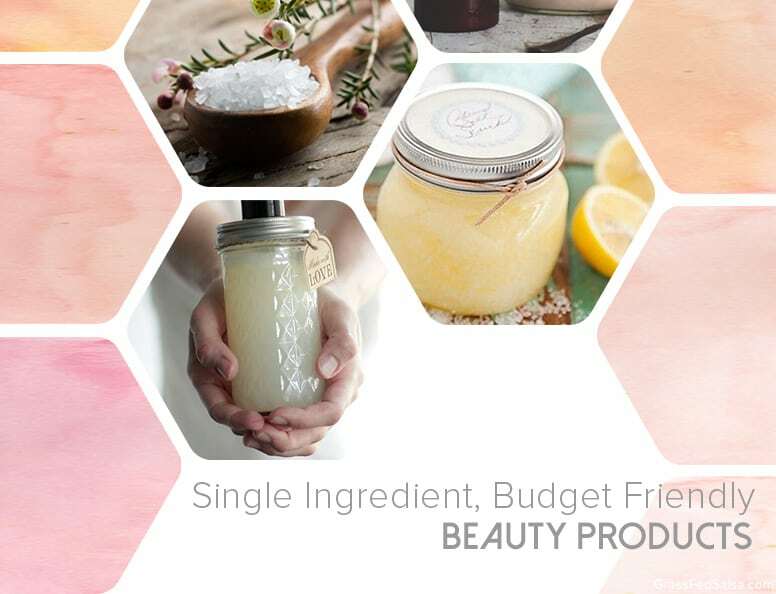 Do you still follow this basic skincare routine and use these single ingredient products? I noticed a different post mentioned a charcoal mask as well. Thanks! I think the only thing I’d change my opinion on is the coconut oil moisturizer. I’ve learned more about the skin microbiome and wouldn’t want to continuously be putting an antimicrobial on my skin every day! It also can’t penetrate the skin like moisturizers with actives in them. I personally don’t use any of the moisturizer tricks anymore, but they’re a good option for someone on a budget. I talk more about the detoxifiers in my Detox Bath Recipes blog post, and the essential oils would be great to add to your skincare routine. I’m a Nutritional Health Coach + Interior Designer showing you how to make detoxing your body, home, and diet simple and successful. to the Personalized Diet Toolkit.